If you are a military service man or woman, retired military or a veteran, you and your spouses and family can get discounts all over. It’s important to also note that depending on certain companies or stores discount services may vary where certain stores offer discounts nationwide and others offer at certain times of the year mostly being May. When you are making travel plans either locally or abroad, they are certain travel agencies, hotels and car rental discounts for you to exploit if you are or have been a serviceman or you are a spouse or family to a serviceman or woman in alphabetical order. Affinia Hotel Collection– Here, you can get up to 20% off guest rooms only for active duty personnel. You must be 21 years of age so that you can enjoy free daily breakfast for two, free Wi-Fi connection, and on select days you can enjoy a spangled lemonade cocktail and a chance to meet and mingle with other guests. Avis-U.S military servicemen/ women and federal government officials get free collision and an LDW insurance coverage. Budget Car/ Truck Rental- if you are active duty, veteran, National Guard or even reservists you and your family can get up to 25% off car rentals. For budget Truck and van rental you can save up to 20% on rental with a USMIO code and valid identification is required. Carnival Cruise Lines- get reduced rates on cruises if you are; reservist, national guard, veteran, retirees, active cadets, active duty and active duty spouse. Spouses must produce proof for eligibility purposes through submission of a copy of the official military order or duties documentation and a solid proof of marriage. Dollar rent a car- get a 5% discount on car rentals as well as fee waivers. This applies to active duty, reservists, National Guard, veterans and their families. It doesn’t stop there; you can get free membership to the Dollar EXPRESS rental program, an unlimited allowance on mileage and a 5% discount on retails for reservists, National Guard, active duty military and their families. Extended Stay America– if you are active duty military personnel, you and your family and dependents receive a discount on various options ranging from TDY and PCS rates for apartments and suites. You can get certain utilities with no lease or security deposits required for any length of stay. Greyhound- you can receive a 10% discount off the Greyhound walk-up if you are active duty or retired military personnel. Hampton inn- discounted per- Diem rates are offered here for Military and government personnel. You must remember to carry a valid military ID for booking and check-in. Hertz rental Cars- Travelling on leisure? You can receive discounted rates, free upgrades, unlimited mileage and complimentary membership to Hertz Rental Gold Plus rewards. Jellystone parks- receive 5-20% off services at the Jellystone parks. You must present military ID at check-in including retirees, reservists, veterans and active duty military. Motel 6– if you are an active duty, retired military or even veteran, you are eligible for their 10% discount for military personnel. Don’t forget to present your valid military ID at check-in. National car rental- with your valid ID at the pick-up point, you can enjoy military privileges or benefits on car rental services including; a loss/ damage waiver, discounted leisure travel rates no additional driver fee and more with the contract ID GOVBIZ. Norfolk International Airport– with military identification upon booking, you can get special low airfares available to active duty military and their spouses and family. Peter Pan Bus Lines– get a 10% discount off the standard walk-up rate where you present valid identification for active duty, retirees and their families. Sixt Car rental– carry your valid military ID or veteran ID at the rental counter and you can get 5% off a car rental. US AIRWAYS– with a valid ID for military personnel and dependent ID marked ‘active’ you can get special rates travelling on official excused absence within 7 days. 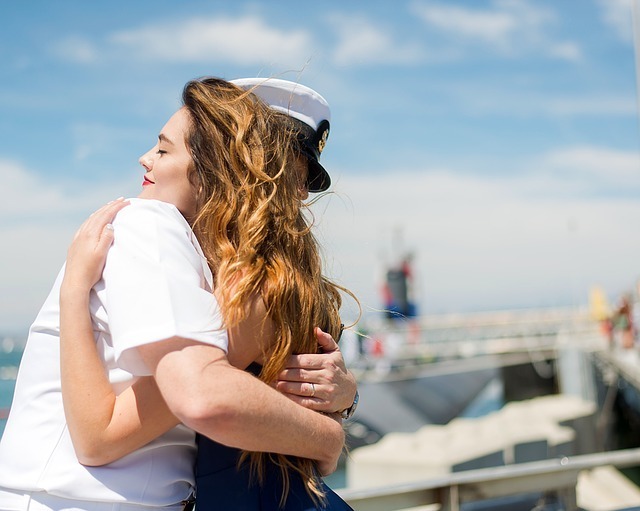 Veterans on the Lake Resort– military veterans get discounted accommodation and amenities for all guests including their families and accompanying guests with the most supportive, convenient and safe support and aid systems assisting even the disabled. Wyndham Hotels– here, you can get discounted rates within the per diem allowed for military personnel and government employees. With this, you can move around nationwide and get discounted or even free-services on the places mentioned above and many-more according to preference. Remember to carry your military identification for smooth-and-well running of the travel discounts.